Today is the third Tuesday of June and the continuation of an exciting summer of professional reading on Tuesdays! 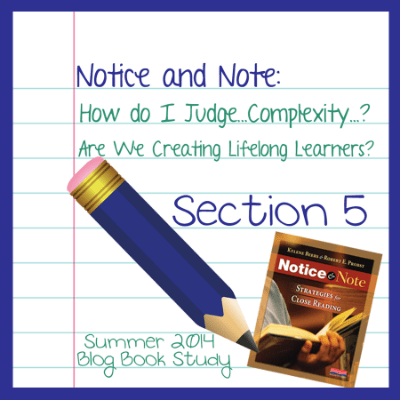 Today I am hosting a section on “Notice and Note” which is being “cohosted” by a number of bloggers, me included! 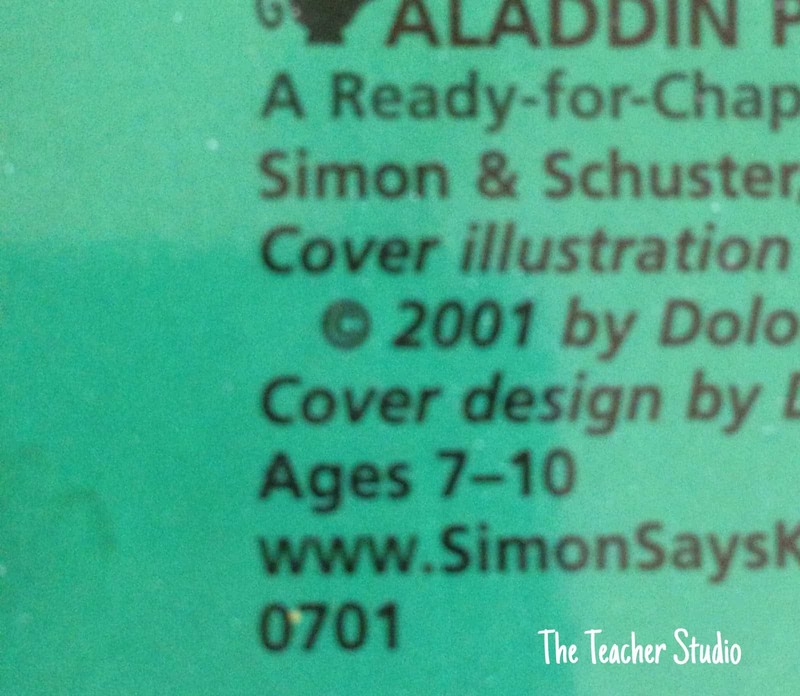 Today’s section addresses the idea of “text complexity”. This is a topic that is VERY interesting to me because I have spent a huge amount of time over the last years trying to advocate for all the ideas in this section! So many people make decisions about text based solely on guided reading levels, lexile levels, or grade level equivalents on random lists–and I have fought for years that “text complexity” is far more involved than the formulas used for most of these lists–formulas that use word length, sentence length, and so on. 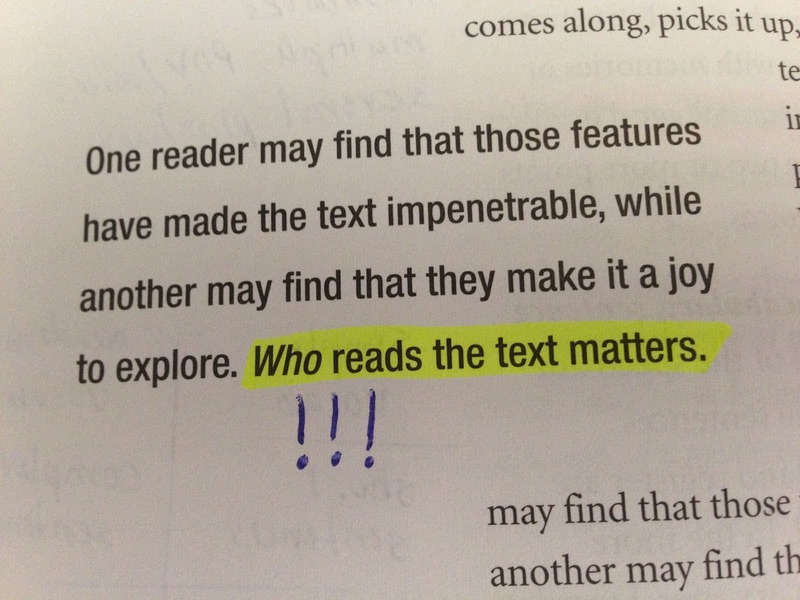 This is a critical topic in my opinion; I feel a huge part of my job as a reading teacher is to match readers with text–and knowing what a “just right” book is an essential piece of this! It’s why Esperanza Rising is more difficult for my students–they don’t have the background…and many don’t have the maturity! It’s why sometimes realistic fiction is easier than other genres…the familiarity with “real kids” and “real settings” makes it easier for students to comprehend. The chapter goes into far more detail and has some wonderful resources for evaluating texts. I really believe it is critical for us to reflect on this issue as we need to be as “expert” as we can be so that we can do our very best matching students to “just right” texts. These are sometimes the only “guides” available to teachers and parents! I have a few questions for you to reflect on and to comment about…I’d love to hear your ideas! Write about one or all..but let’s hear your thoughts about text complexity! 1. How much focus does your school/district place on leveling systems? What systems do they use? 2. Have you found texts that you have used with students that were either more challenging or less challenging than you had originally thought? What text was it? What was surprising to you about the difficulty level? 3. 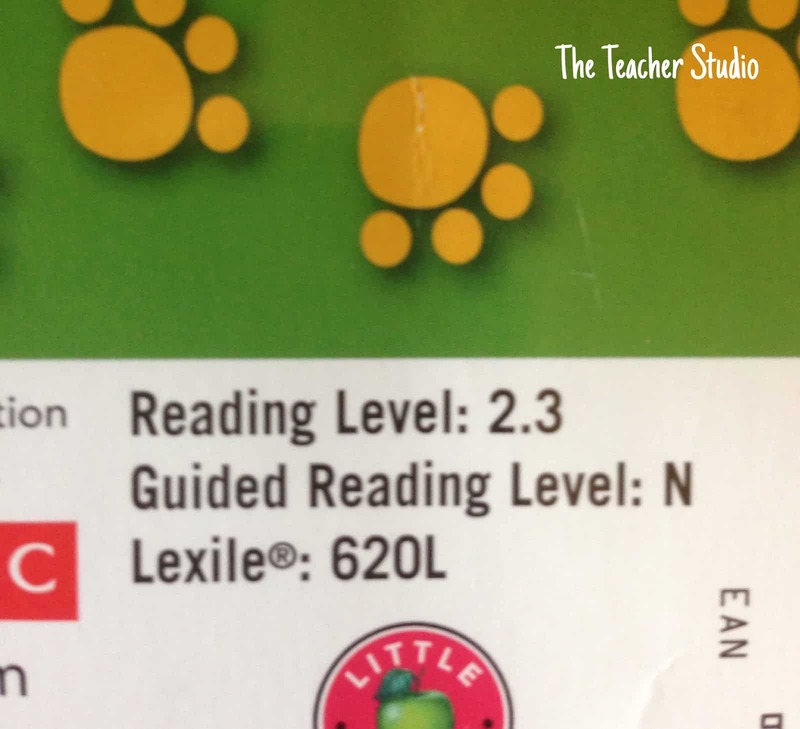 What are your thoughts about the importance of using what we know about text complexity as teachers of reading? Is this a dialogue we should be having with our students? With the parents of our students? Do you want to read about the next section of this book? Hop over to THIS blog post to see what comes next! If you are reading this book along with us, make sure to comment along the way…and if you are blogging about it, link up with us!